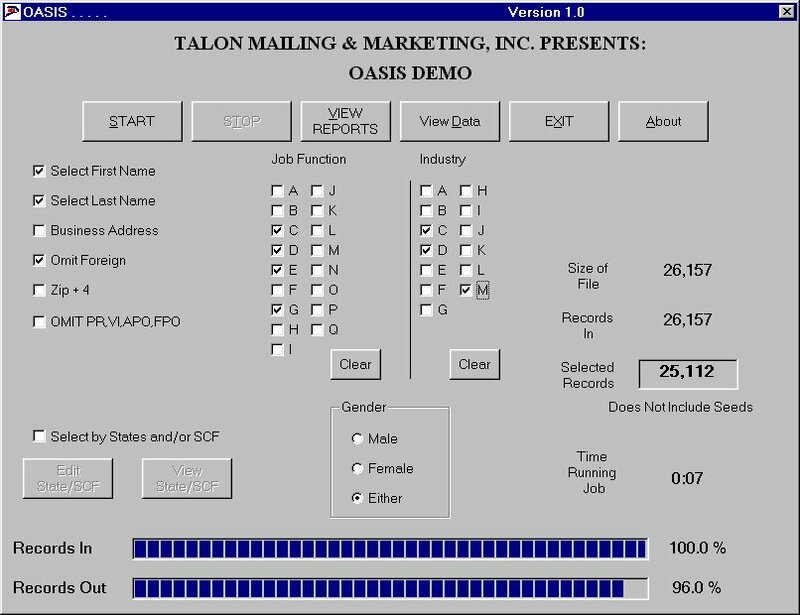 Welcome to the Talon Mailing & Marketing October 2012 Newsletter. The service is a “Spray and Pray” mailing process that saturates entire mailing routes without any targeting. Earlier this year, the USPS unveiled a new service for direct mailers known as EDDM (Every Door Direct Mail). 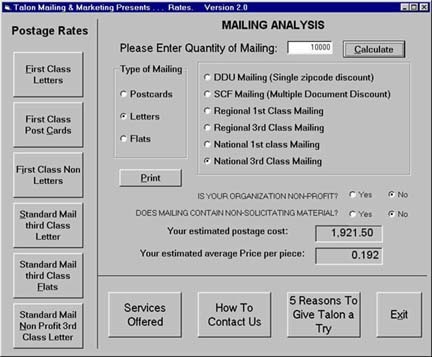 In an era of declining mail volume, the service was intended to increase use of direct mail. Up to 5,000 mail pieces can be distributed to any mail route in America for as low as $ .14 per piece. Direct mail is an essential element of any effective multichannel marketing mix. And any service that streamlines the process of creating and distributing mail should theoretically be a good thing. The key word here is “theoretically”. However, it appears that EDDM is a “Spray and Pray” mailing process that saturates entire mailing routes without any targeting and without allowing consumers the chance to opt-in. In addition to this, all EDDM mail is emblazoned with the generic title “Postal Customer” in lieu of actual recipient names. With so many recent developments in preference-driven marketing, this type of generic mass mailing appears contrary to today’s consumer demands. As we’ve written previously, marketers know that relevance means sending the right message to the right person at the right time. And, today’s empowered consumers want messages delivered per their individual media preferences. Response, revenue, and customer retention don’t exist in a vacuum. They’re created by enriching customer experiences across the media mix. That will not be achieved by bombarding customers and prospects with mass mail. 1. Keep long-term objectives in mind. As tempting as cheap mailings might be, “spray and pray” blasts are a turn-off to consumers. Long-term customer relationships are built through targeted, personalized, and relevant communications. This applies to new customer acquisition and retention. 2. Consider the impact of EDDM on your customer base. Customer loyalty needs to be nurtured over time. EDDM may “simplify your mailing process”, but only per the same convoluted logic that eliminating call centers “helps automate customer service”. 3. Don’t associate your brand with mass mail. You work hard to develop your brand equity. Your brand should be used with communications of value. 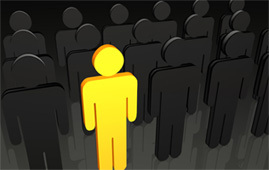 Targeted, personalized, direct mail will enhance your brand. mass mail will hurt it. Email is an impersonal way of reaching your audience. You should present yourself in a manner to help them get better acquainted with your business and increase your chances of making a sale. Postcards or brochures can help. Marketing strategies nowadays revolve around the most convenient tools of reaching out to your audience. Social media and e-mail marketing serves the purpose of reaching out to their concerns without spending a lot unlike on print media or TV ads. Shooting an e-mail to recipients in a mailing list or answering questions about your business using Facebook or Twitter can be accomplished with a couple clicks of a button using a computer from your own home. However, does convenience bring in results? A Consumer Survey Results conducted by Epsilon reveals that people prefer receiving direct mail over any type of marketing strategy when it comes to brand communications. Furthermore, 66% of the participants in the survey believe that they have been receiving too much e-mails from companies. There is no question about the advantages brought by online marketing in communicating with possible clients. But it bears to mention that they also will never be able to replace traditional marketing, one that involves the touch and feel experience of print marketing, in particular direct mail. 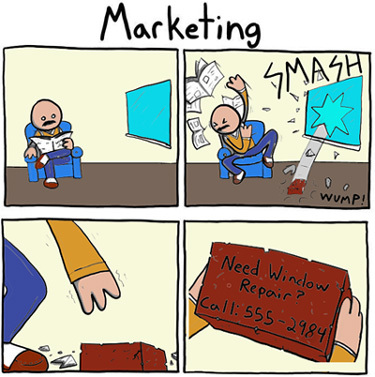 There is still allure to old school marketing that still makes it popular even today. You’d expect a company like Google that lords over the search engine industry to stick to online techniques in their advertising efforts. However, Google also sends out direct mail campaigns that provides recipients with coupons and discounts printed on a thick cardstock with sleek design and appearance. Such is proof that direct mail is alive and well. If that’s the case, then what are the qualities that allow direct mail to maintain its relevance as a marketing strategy? Simple – direct mail marketing works because of the human touch. One of the main reasons why e-mails have become a preferred marketing channel by businesses are its affordability and convenience. Figuring out your way using e-mail marketing tools like MailChimp or Aweber can help you produce attractive newsletters and autoresponders for your direct mail campaign at little or no extra costs. These also provide insight to your campaign performance, allowing you to determine what and what doesn’t work in your campaign. However, the biggest and perhaps fatal flaw of e-mails is that it can only satisfy our sense of sight. Although an e-mail campaign should help you leverage the advantages that big whig companies have over small businesses like yours (you’ll only need design skills to pull off this job, and even then you can ask for design services at a nominal price), an e-mail is only good when your computer or smartphone is turned on. With direct mail, you can tap into the recipient’s sense of sight, touch, and even smell! The design of your postcard, the fresh smell of the card stock in which the design is printed on, and the texture of the stock can all contribute to the heightened experience that direct mail can provide to potential clients. With the right copy and design, this can convert the recipients of your direct mail into leads or future sales. More importantly, direct mail allows you to make a concerted effort to get your message across, which customers greatly consider from a brand. Due to its format, an e-mail is a very impersonal way of reaching out to your core audience. You need to present yourself in a warm and fuzzy manner to help them get better acquainted with your business and increase your chances of making a sale to them. This comes in the form of professional postcards or brochures appealing to their attention. Direct mail marketing is still alive and breathing after all these years. It comes with much effort on your part, but if done correctly, the personal and tangible approach of a direct mail campaign will deliver results. Is Direct Mail a Green Marketing Medium After All? Printing and paper companies are aware of green initiatives, and rather than being reactive, they long ago put strategies in place to make the EPA smile. The recent years have brought much debate as weather fluctuations and climate changes stir concerns of global warming. Whether or not global warming is in fact a truth, there has been a recognizable need to conserve our planets resources and reduce energy expenditure. Many corporations set goals of being paperless striving to follow green values but those companies are also unaware of the processes taking place behind the scenes. Printing and paper companies are just aware as everyone else of green initiatives, and rather than being reactive, they long ago put strategies in place to make the EPA smile. 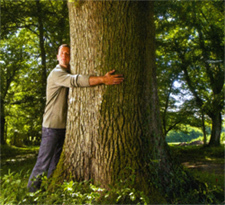 Every day in the US there are 4 million trees planted and of those 4 million the paper/wood industries are responsible for 1.7 million according to the USDA forest service. That number does not include the millions of trees stimulating from natural regeneration of seedlings. The FAO of the United Nations has found that the forest cover for US and Canada has remained virtually unchanged from 1990 to 2005. Simply put the more paper needed the more trees are planted. Many people may say trees cannot grow as quickly as we cut them down but the Forest Products Association of Canada found that less than one half of one percent of Canada's forest land is harvested annually. It is blatantly apparent that there is more than enough time for trees to grow back before they are harvested again. Paper is truly a sustainable product. The Society of America Foresters found that in the United States, the total carbon sequestered by forests and the creation of wood products during the 1990s reached almost 200 megatons per year – around 10 percent of U.S. emissions of carbon dioxide from the burning of fossil fuels. They also found that for every ton of wood a forest produces, it removes 1.47 tons of CO2 from the air and replaces it with 1.07 ton of oxygen. This means that some respects of paper production actually have a highly positive impact on environment and are improving the planet. Companies are also finding ways to optimize their direct mail so that it leaves as small a carbon footprint as possible. Sprint is now using two way ecoEnvelopes in which bills can be sent in the same envelope they were received. At 65 million customers they estimated that this would save just under a half million dollars in operational costs. Other companies are packaging deals with other offers like bills that cut material use. Paper is also one of the most highly recycled materials out there. According to the American Forest & Paper Association more than 64% of all paper used was recovered for recycling. While it does not have the same carbon footprint email does, direct mail is a much a greener medium than many previously believed due to current paper development processes and intelligent sending. In some respects physical mail will always have more of an impact than other marketing channels but there are no digital agencies planting millions of trees daily either. Also on the radar is washable envelopes that can be easily reused. Technology continues to provide new solutions for environmental welfare and this includes all paper based industries. This unique medium will continue to stimulate buyers and be green. Monday October 8th, 2012. Jets vs. Texans 8:30 PM. marketing.grader.com - Measures your entire marketing funnel and gives you actionable advice on how to get more out of your marketing. websiteslike.org - This site helps you find similar, related or alternative websites. They use our proprietary technology to give you the most accurate results every time. stereomood.com - Behind every song there's always an emotion. that's why we love music. Listen to the music that best suits your mood. ohlife.com/timecapsule - Write a letter to your future self. It's easy and fun. Millions of letters written! evernote.com - Works with nearly every computer, phone and mobile device out there. Save your ideas, things you like, things you hear, and things you see. keentalks.com - Watch Talks, Lectures, Debates, Presentations, and Interviews. Collection of stunning video material from various renowned authors. flavors.me - The Easiest and Most Stylish Way to Create a Unified Web Presence.